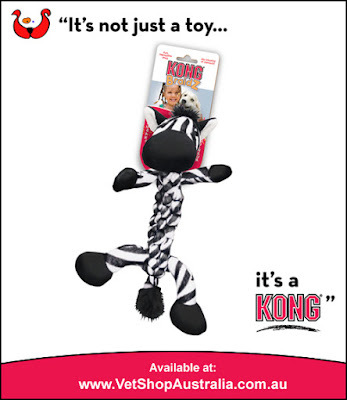 Want to win a brand new Kong toy for your pet? All you have to do is visit our VetShopAustralia.com.au Facebook page and tag yourself in one of the Kong toy pictures that you would most like to win for your pet! The 6 winners will be drawn at midday on Thursday the 21st of June, 2012. Strictly one tag per person please. Head to our Facebook page now and start tagging- good luck!! Is this the toy your pet would love most?